The most common problems from fire protection today is the damage caused by the large amount of water injected in the fire scene after the automatic sprinkler system works. This is a big problem for occupant of building who cannot return to the area immediately after the incident. 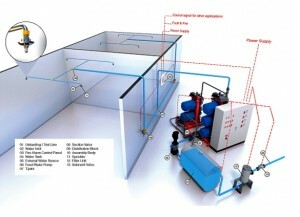 Another problem is that the clean agent fire protection cannot be used in open areas. So sometimes they cannot be installed in common areas. 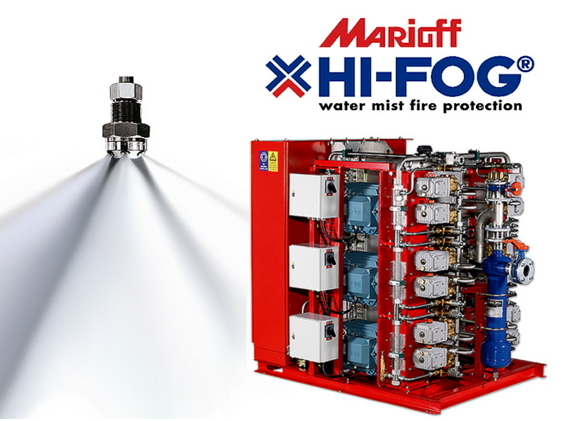 Hi-Fog is a high-pressure water mist system that will replace any other existing fire suppression systems such as automatic sprinkler system, FM 200, IG100, IG55, NOVEC1230 clean agent fire suppression system etc. Hi-Fog is not harmful to life and property and is also environmentally friendly. The principle of fire suppression is to reduce the flame temperature by exposing surface area of water droplets to flames. HI-FOG is invented by increasing surface area of water which can be done by making water droplet to be smaller which is called mist. This increases the surface area of water droplet that touches the flame. So, it can absorb heat to better control and reduce the temperature of the fire. Because the water drops are very small, it is easier to change its state to steam. As a result, it can absorb heat from the ignition source faster, thus lowering the burning rate and quickly suppress the fire. In addition, when the mist touches the flame, the steam from the condensation of the water droplets will replace air in that area resulting in reduced oxygen level in area where the fire is burning. Local inerting makes the combustion process incomplete which enhance the fire suppression efficiency. After the fire is suppressed, water droplets also reduce the temperature of the fuel such as plastic, wood, and paper to prevent ignition. Nowadays, HI-FOG is widely adopted in Europe for public buildings such as office buildings, shopping centers, cinemas, hotels, restaurants and other places that contains fuels such as paper and plastic. HI-FOG is also suitable for areas where residents are not familiar with fire escape routes such as museums or entertainment venues because sprayed water from HI-FOG can protect and reduce heat ray which help residents to escape the fire easier. 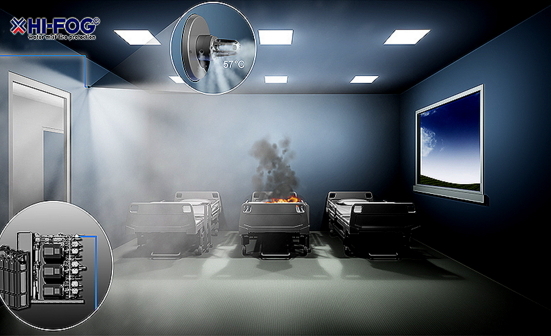 HI-FOG has been certified by FM Approvals, VdS, UL, BSI, etc. including NFPA 750 (Standard on Water Fire Protection), CEA4001 (Sprinkler System: Planning and Installation) and Engineering Institute of Thailand Under H.M. The King’s Patronage’s fire suppression standards (EIT Standard 3002-51).